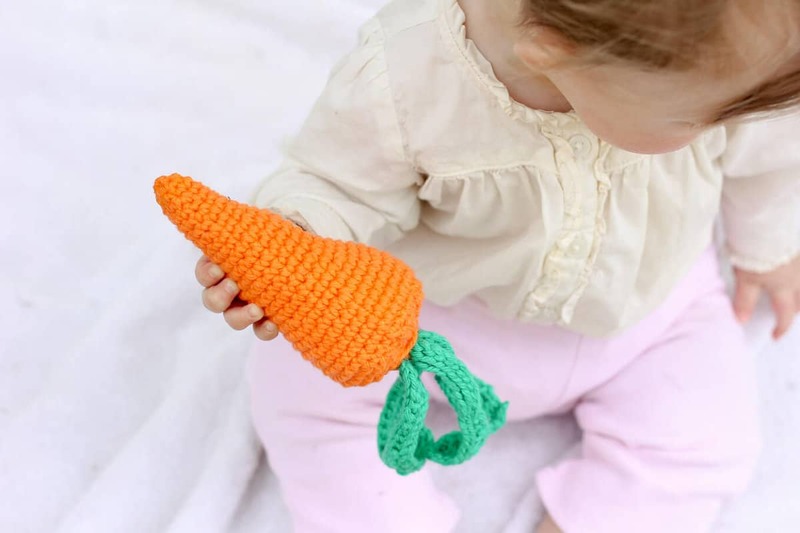 Free Crochet Baby Toy Pattern - an Amigurumi Carrot Rattle! 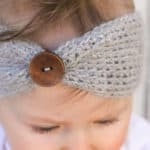 This free crochet baby toy pattern makes a quick DIY gift for all the tiny “bunnies” in your life. 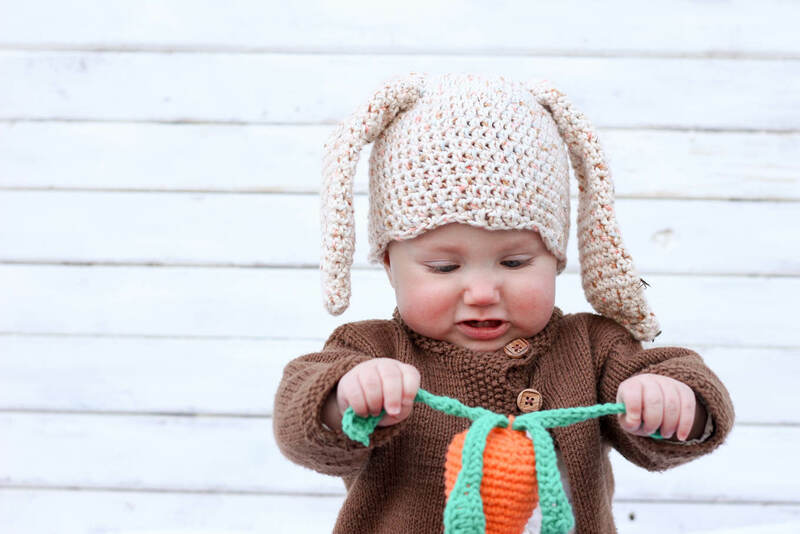 Last week I shared a free crochet bunny hat pattern and today I’d like to show you how to make the perfect crocheted baby toy to go with it. If you need a baby shower gift idea or want to make your favorite munchkin a handmade present for their Easter basket, these two patterns together make a sweet little gift set. 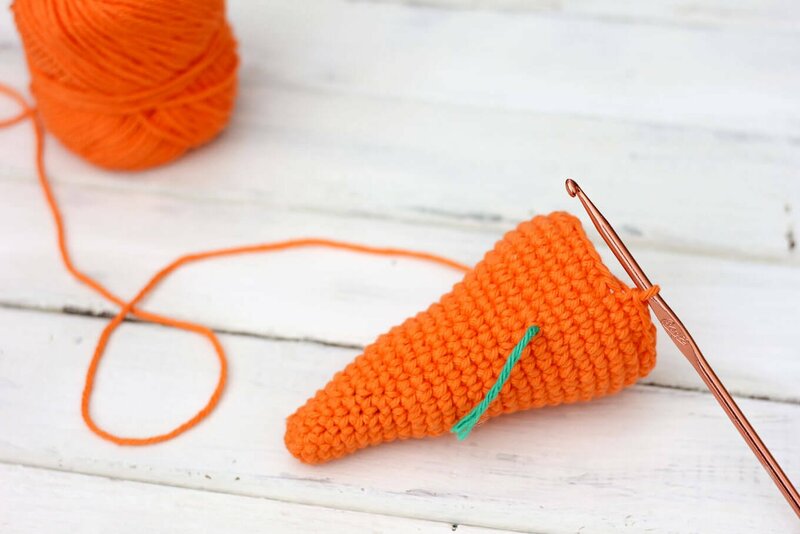 When planning this amigurumi carrot, I knew I wanted it to jingle. 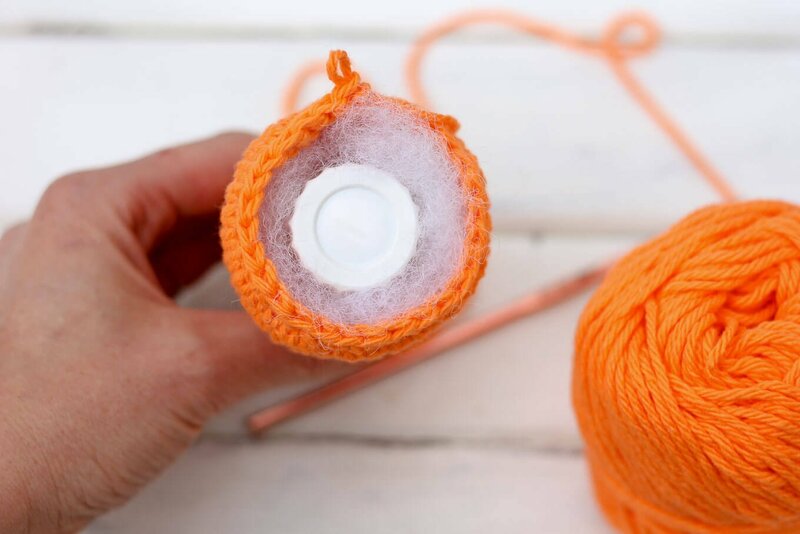 The trouble is, when you put a jingle bell inside a crocheted toy and then pack stuffing around it, the jingle bell isn’t able to move around enough to make a legit, satisfying jingle sound. And nobody likes a muffled jingle! The solution? 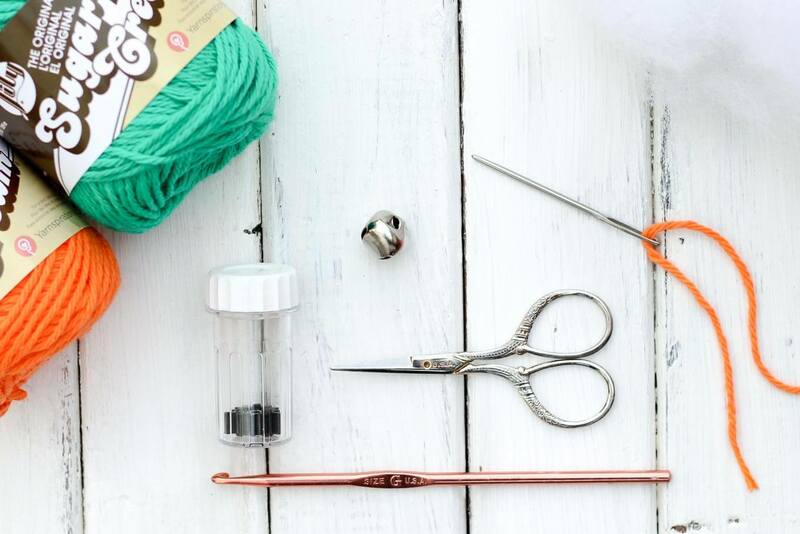 Dive into the depths of the craft room, of course! I’ve been saving the small plastic containers that come with my hydrogen peroxide contact solution for a while, knowing they’d come in handy for something. Turns out they work perfectly to give the jingle bell a little space to move around and do its thing inside a crocheted stuffie. If you were blessed with 20/20 vision and can’t get your hands on one of these little cases, any small container will work. Try a mini Altoids box or one of those round plastic containers junk toys come in from a 25 cent machine. This easy crochet pattern can be made in one sitting while you catch up on “House of Cards.” I used 100% cotton yarn because I preferred a yarn that isn’t fuzzy since this toy is going to get a lot of chewing action. You can really use any worsted weight yarn you’d like though. A reminder: when crocheting amigurumi, use a crochet hook that’s smaller than the gauge on the yarn label calls for so that your stitches are really close together. Especially when you’re making a toy that’s going to be sucked on, you want to make sure there’s no stuffing poking out. So you can spend more time sowing your yarn garden and less time shopping, this post contains affiliate links at no extra cost to you. You may make items to sell with this pattern. In exchange, please link back to my homepage (MakeAndDoCrew.com) as well as to this post. Do not use my photos as your sales photos. Now let’s make something awesome. This baby rattle pattern is crocheted in a spiral, meaning that you won’t be joining each round. You’ll just keep crocheting around and around, without “stepping” up at the beginning of each row. You’ll still want to mark the beginning of your row so that it’s easier to count your stitches. I like to just put a scrap of yarn at the beginning of a row and essentially crochet around it so that it stays put. Then after crocheting a few rows, I just pull it out and place it at the beginning of my next row. Fasten off and keep a long tail to attach the carrot greens. Row 2: 5 dc in next 5 fsc, 3 sc in next 3 fsc, sl-st in next 24 fsc stitches, 3 sc in next 3 fsc stitches, 5 dc in next 5 fsc stitches (to the end of row). 3 sc around the corner of the last dc to meet at the corner of the original foundation stitch. 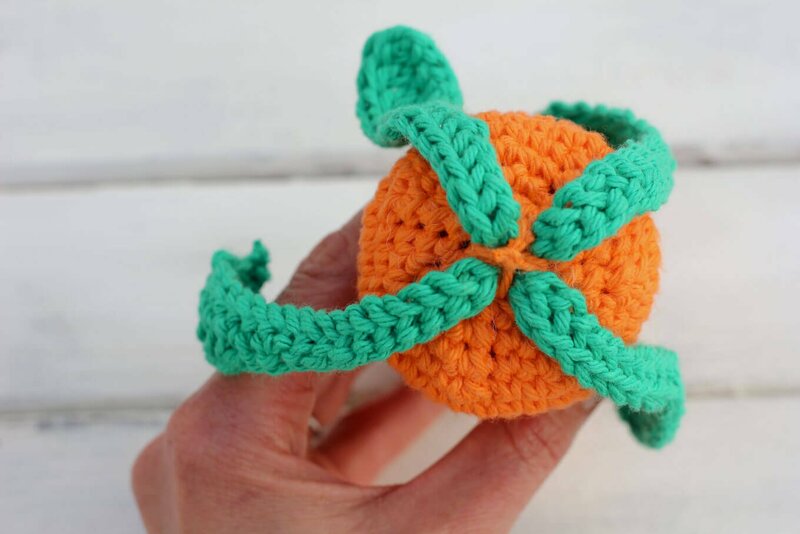 Stack the greens on top of each other to form an “X.” Fold them upward and use a tapestry needle and piece of orange yarn to tack them together. Insert the base of the greens into the open carrot top. 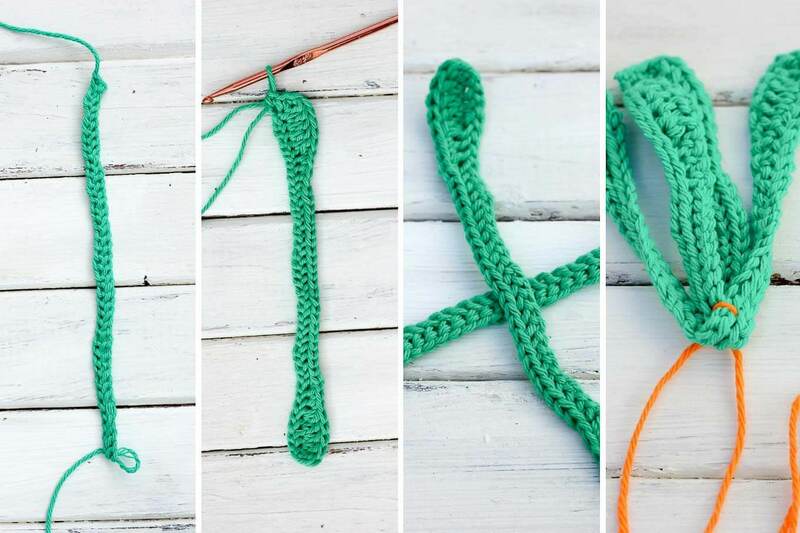 Use orange yarn to sew some criss cross stitches, ensuring the greens are sufficiently attached. Fasten off. 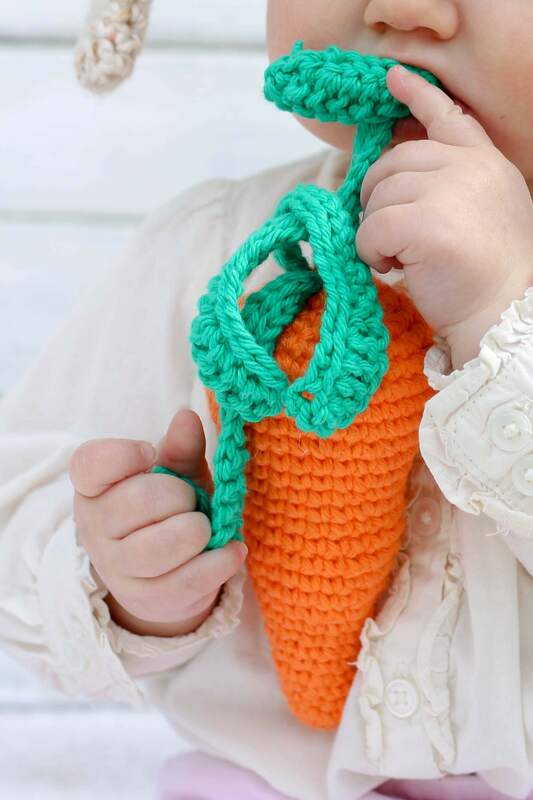 We parents are always trying to get their kids to eat more vegetables, so who wouldn’t like to receive a nutritious crocheted carrot baby toy for their wee one? I mean, just look at how strong it makes little Popeye here. 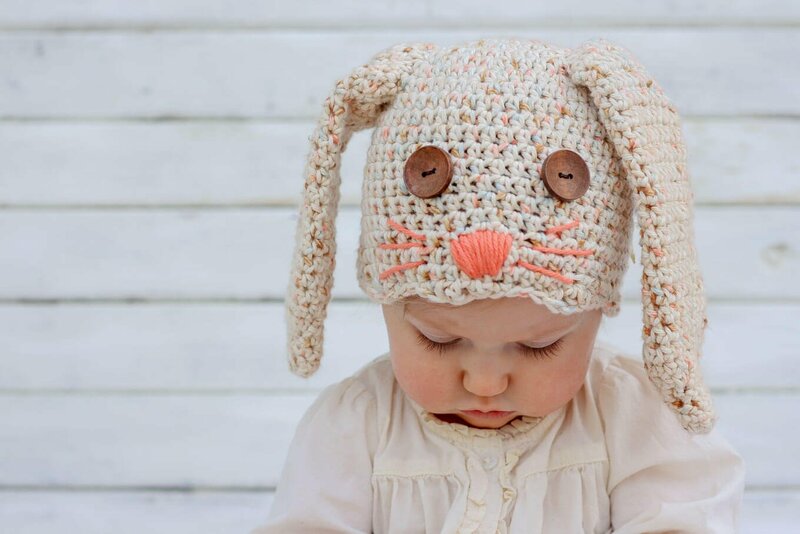 Don’t forget to pin and download the free bunny hat pattern. 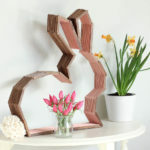 Wouldn’t the set be sweet for Easter photo props? 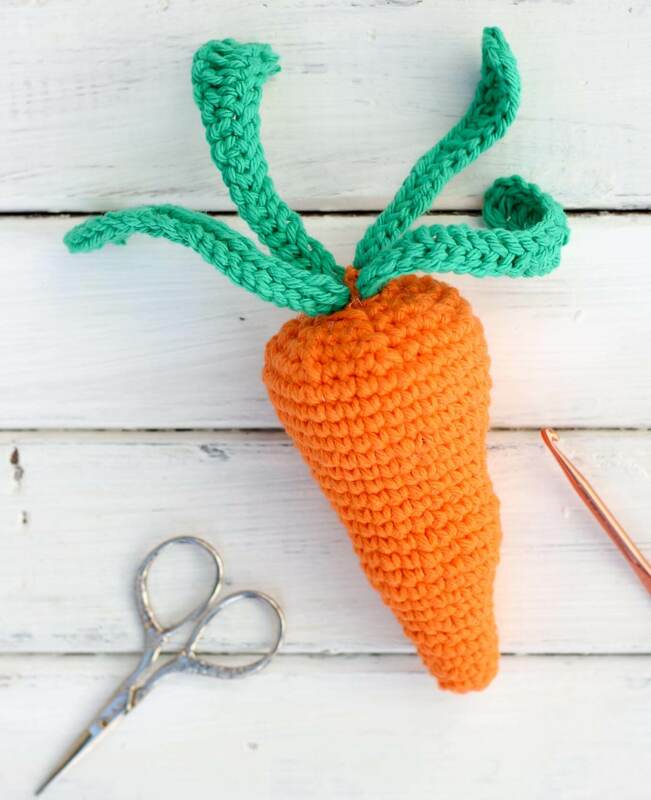 This so cute and colourful carrot, pinned it .I am loved it. Your elephant hat is ADORABLE! I can’t wait to pin like every single thing on your site. I have my 1st granddaughter due on Dec 1, 2017. 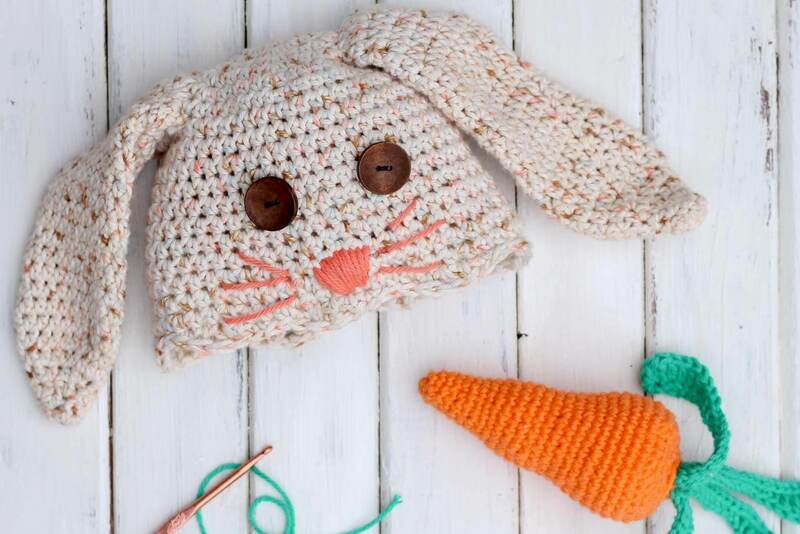 I cannot wait to make the carrot rattle and bunny hat set. I am starting the Dutchess blanket today. When that is done, I will make the bunny set. Thank you so much for these patterns. I have not crocheted in over 10 years but your patterns had me out buying crocet hooks and yarn. Wishing you much success in all your endeavors. God bless. Aw, Lynn. What a wonderful thing to hear. Thank you for that compliment.